Home > Career Overview > What is Visual Merchandising? The Oxford English Dictionary defines visual merchandising as the "activity of promoting the sale of goods, especially by their presentation, in retail outlets". It basically involves combining the product, the space and the environment into an appealing and stimulating display which is designed with the purpose of driving more customers into a particular area of the store and is aimed at encouraging customers to buy a particular product(s). Visual merchandising is far more ‘art’ than ‘science’. In other words, there are no hard and fast rules and its sole purpose is to sell a particular product. That means in some cases, stores will set up their goods in such a way simply to maximise the best use of space. 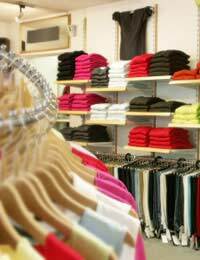 In this instance, there are other factors influencing the way a store or a section of a store is set up. Basically, if it’s not been set up with the intention to sell a particular product, then it isn’t visual merchandising. Take chocolate bars in supermarkets, for example. How many times have you been queuing at the checkout and, whilst you’re waiting, you’ve popped a few chocolate bars in your trolley as they’re often put on display right next to the checkout? That is visual merchandising. In other words, there will probably be a section for chocolate bars on one of the aisles too but, as you’re shopping, you might simply walk past as your mind is set on buying other items. However, once you’re done and waiting at the checkout, your mind can start wandering and retailers know that chocolate can be very seductive, hence why it’s often placed near the till. They also know this is the point at which parents with young children are often at their most vulnerable when it comes to giving in to children’s demands. Therefore, this is an example of visual merchandising where something has been strategically located and displayed in such a way that it communicates to you and hopes to influence you into purchasing it. What Is Involved In The Role Of A Visual Merchandiser? There are many aspects to the role of visual merchandiser. You need to be creative and artistic and be able to draw designs by hand or on a PC. Perhaps, it’s Christmas and you’ll need to incorporate some kind of Christmas theme into your displays. You’ll need to come up with imaginative ideas when it comes to special promotions that you want to draw your customers’ attention to. In addition to things like setting up displays and putting up posters, you may also be involved in how to make the best use of space and lighting in a creative way and perhaps need to make certain props or at least know where you can hire them and know what to hire. You’ll also need to liaise with buying teams and perhaps others at head office so your communication skills will be vital, especially if you’ve got to try to justify why you want to spend company money on a particular display and to explain why you think that the money will be well spent. Depending on the size of the store, you might get into visual merchandising just by working your way up through the retail industry and by happening to possess good artistic and creative abilities. On the other hand, for well known, large high street retailers, it’s more likely that you’ll have some kind of degree which contains an element of visual communication. Alternatively, you can opt to undertake a specialist degree in Exhibition and Retail Design.